The New York Police Department (NYPD) is to start using drones for some of its work in the city. Joining more than 900 other state and local police, fire, and emergency units across the country that are already making use of drones, the NYPD’s kit comprises 11 DJI Mavic Pro quadcopters, 2 DJI Matrice 210 RTK quadcopters, and 1 DJI Inspire 1 quadcopter. The department will deploy the remotely controlled flying machines for a variety of operations, including search and rescue missions, crime scene investigations where the location is hard to access, hostage situations, and hazardous material incidents. They will not be used for routine patrols, traffic enforcement, immobilizing vehicles or suspects, as a weapon or equipped with a weapon, or as a search tool without a warrant. 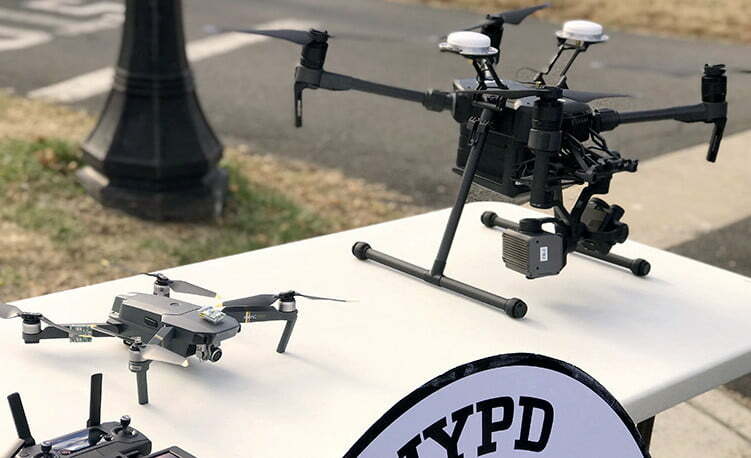 The drones will be deployed solely by licensed NYPD officers of the Technical Assistance Response Unit (TARU) who have received extensive training, the police department said. The NYPD first tested drone technology almost a decade ago, but ended the trial program in 2011. A growing number of public safety agencies around the world are turning to drones to aid them in their work, and the machines have already proved their worth in a number of incidents. Earlier this year, for example, cops in the U.K. used a drone with a thermal imaging camera to find a lost person who was in danger of succumbing to hypothermia, while rescuers in Hawaii used the technology to help guide people to safety as lava from Kilauea volcano flowed toward their property.